All new born babies are born with an underdeveloped valve which keeps food in the stomach. When the mother places her baby on a flat mattress after feeding and burping it is because of the immature valve the food comes back up and out causing baby spit up. Milk which is going back from the stomach contains stomach acid which causes inflammation of the muscular tube, causing baby discomfort which is demonstrated by babies crying and many times parents have difficulty to find the cause of the baby's cry. After some time that acid in the muscular tube may cause and lead to acid reflux, and this means more sleepless nights, Doctor Office visits, medication, etc. We recommend mother sleeps/lies on the pillow for few hours and transfer her scent to the pillow. Newborns can not see very well at first but have a great sense of smell. The baby senses the mother when on the pillow making them calm and comfortable and feeling mother's closeness. The channel in the middle of the pillow imitates the curve when a baby rests in the mother's arms and due to its unique profile there is increased contact with the body and the child feels continued hold by the mother. Your baby after feeding and burping is placed on the pillow in the middle of the channel for 30 to 60 minutes. At the same time sinuses and ears are properly drained and this helps in preventing ear infections and nasal congestion. 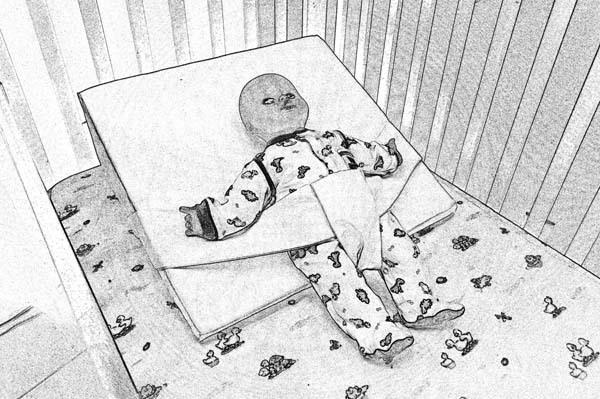 As the child lies in an inclined position on the pillow gravity holds food in the stomach helping prevent spit up. When a child is held in most vertical positions in parents arms the belly contents are compressed to some degree causing discomfort for the child and pressure on the stomach. On the pillow the child's body is straight and spine aligned making the stomach and whole belly uncompressed and relaxed so digestion can take its course with ease. The child is relaxed and often burps causing some air left over in the stomach from feeding to be released making the child comfortable and happy. For your child's safety never leave child unattended. 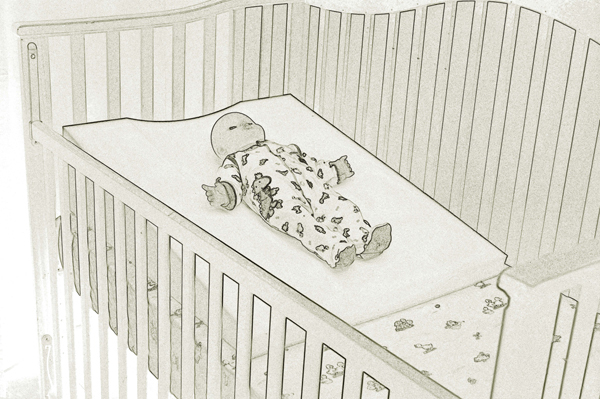 Easy Burp Baby Pillow fits perfect in a standard crib preventing a space for your baby to fall in between the pillow and crib side. Designed height and patented channel in the middle of the pillow keeps your baby in a straight comfortable position preventing radical turning. Due to Easy Burp Baby Pillow perfect height design, the stomach is lower then your babys mouth, and gravity helps out with digestion and burping. There is no stress on the spine and internal organs. More important no pressure on the stomach and minimize your baby spilling, acid reflux after feedings. Easy Burp is made with incredibly comfortable medium density polyurethane foam with patented scoop center and mimicking a position when held in the mothers arms, with exceptional stability like a mattress. During pregnancy the mother can sleep on the pillow as a pregnancy support, side sleeping pregnancy for comfort due to the special scoop design which allows the mothers tummy rest comfortably on the side. The absorbed scent from the mother to the Easy Burp Baby Pillow will be beneficial for when the baby arrives. The baby will be able to settle on the pillow as they smell the mother. Sensing the mothers smell makes baby calm and peaceful. This process is described as imprinting and is the strongest instinct your baby is born with.